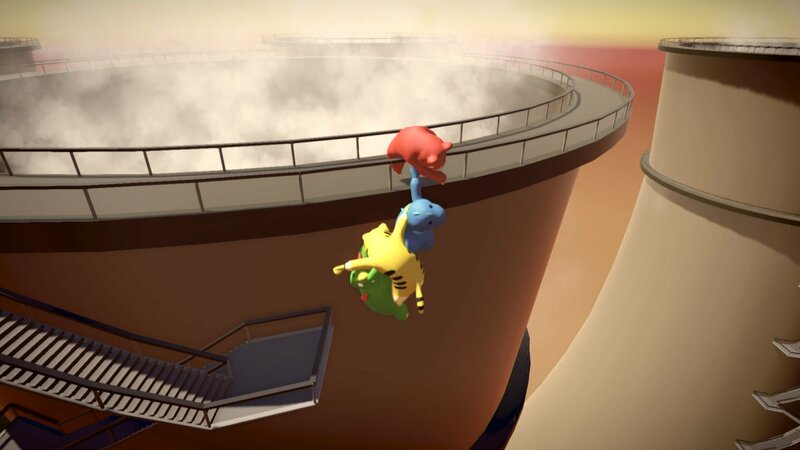 The Xbox One’s game library just got a lot beefier with the launch of Gang Beasts. Developed by the team at Boneloaf, and published by Double Fine Presents, Gang Beasts is a frantic multiplayer party game. While the game is already available on several other platforms, today it joins the already vast library of games available on the Xbox One. Players can grab, climb, throw, punch, and kick as they fight to be the last one standing in one of Gang Beasts' . Those looking to pick up Gang Beasts on the Xbox One will also find the game available for 20% off its usual $19.99 price tag. This deal won’t last forever, though, so if you’re looking to get in on the beef at a reduce price, and prove your mettle in the ring, then you’ll need to do so before the deal ends on April 9. If you don’t have a clue what Gang Beasts is, then allow me to educate you. Gang Beasts is a party game full of gelatinous characters that will dive, grab, climb, headbutt, kick, lift, pull, slide, throw, and punch their way through various arenas. It’s a fantastic little party game that offers a lot of fun mini-games and events all packed into one beautiful, and beefy package. You can check out the trailer for the Xbox One version of the game above, as well as head over to the official website to learn more. On top of the game’s Xbox One launch today, players and fans can tune into the Double Fine Mixer this afternoon at 3PM PST to celebrate and join Tim Schafer and other members of the Double Fine team as they face off against each other and show off the goods. Back in 2017, when Gang Beasts first released, our very own Ozzie Mejia praised the game's core premise, stating "At its core, Gang Beasts is a lot of fun. Between its wacky physics, creative level design, and copious amounts of character customization options, there's a lot here for groups of friends to enjoy." Of course, the game didn't launch without problems. But, now that the team has had a few years to smooth things out, Xbox One players should have a fairly smooth experience waiting for them. You can check out the full review if you want to read the rest of Ozzie's thoughts on Gang Beasts. 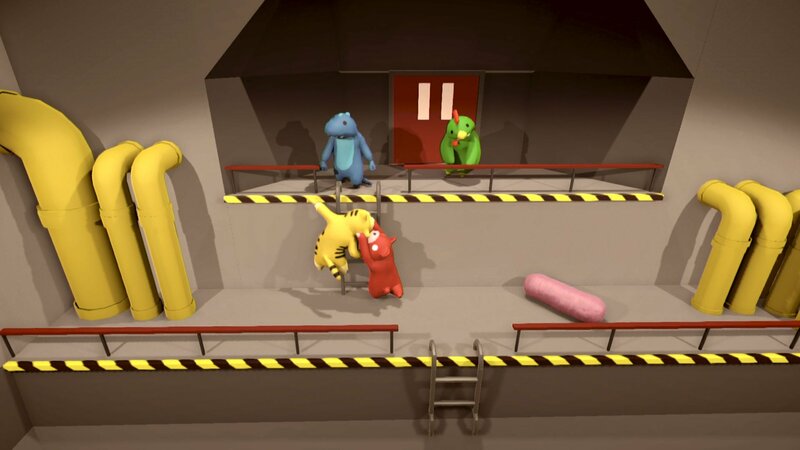 While Gang Beasts is just now making the jump to Xbox One, the game is also available on PC, Max OS, Linux, PlayStation 4, and even the Oculus Rift.